We're a preferred coatings supplier to some of the top manufacturers in Canada, with more than four decades of experience in such essential services as pvc coating, vinyl coating, and nylon coating. Our knowledge, customer support, and innovative approaches to new challenges have positioned Plastico Industries as a leader in the world of metal coating technologies. Our Aquence (autophoretic), nylon, and plastisol coatings are sought after by Ontario's automotive, aerospace, military, heavy equipment, furniture, and tool manufacturers. 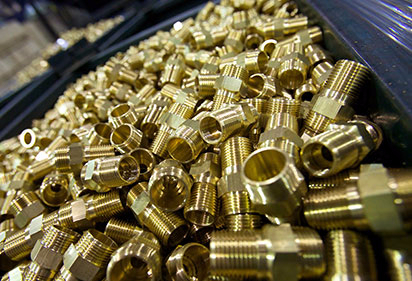 Not only are our finishes unique, but so is the fact that Plastico is truly a single-source supplier: we can provide full surface preparation services through our parent company, Latem Industries, situated in the same building. Conveniently located off of Hwy 401 in Cambridge, Ontario, we manage an impressive 80,000 sq ft of finishing and coatings equipment. Plastico respects your tight timelines and fully understands the need for a quick turnaround. When required, we can ship directly to your customers, avoiding unnecessary delays and additional handling of your components. Have any questions? Click here to contact us today! Plastisol is a PVC-type dip coating that delivers a lifetime of protection and is flexible in its composition. It is ideal for numerous high-impact applications.